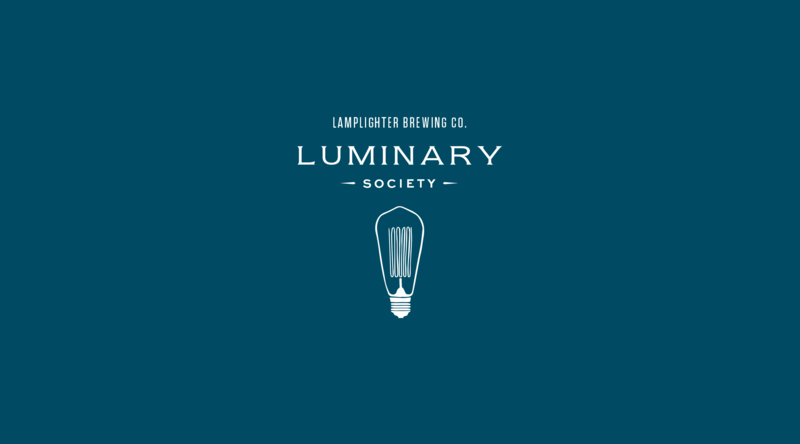 Luminary Society - Lamplighter Brewing Co. In 2019, we’re thrilled to launch the Luminary Society, your ticket to gain exclusive access to the small-batch, experimental barrel projects curated by our brew staff. Update: Memberships for the 2019 Luminary Society are no longer available. If you’d like to receive word when 2020 memberships are active, please sign up for our waitlist by clicking here! Members of the Luminary Society will receive 6 special releases in 750ml format of innovative brews throughout the year (bottle quantity per release is dependent on membership tier). Beers released to the Luminary Society will not be available in our taproom or for general sale; they are both collectible and dynamic, anticipated to evolve in complexity under proper cellaring conditions. In fact, these one-off batches are some of our favorite beers to date – expect sours, wild ales, and enough funk, fruit, and booze to knock your socks off. The styles and timing of the six releases will be at the sole discretion of our team, though we anticipate releasing bottles in January, March, May, July, September, and November. The beer list will evolve as we taste, blend, and condition, but we anticipate offering a sampling of sour beers aged on fruit, a few Belgian-Influenced wild beers fermented with Brettanomyces, and a Bourbon Barrel-Aged Imperial Stout to cap off the year. If you are unable to pick up your bottle(s) during this time, you must email [email protected] to coordinate an alternative pickup time. At least 24-hour notice is required. Refunds will not be issued for orders that are not picked up or shipped within the designated time frame! Any bottles allocated for the Luminary Society members that are not picked up / set to be delivered by March 2020 will be considered the property of Lamplighter Brewing Co. and will be forfeited without refund. cancellations & terminations of membership.